We are proud to announce Bethlehem's first 3-STAGE burner, THE GRAND! 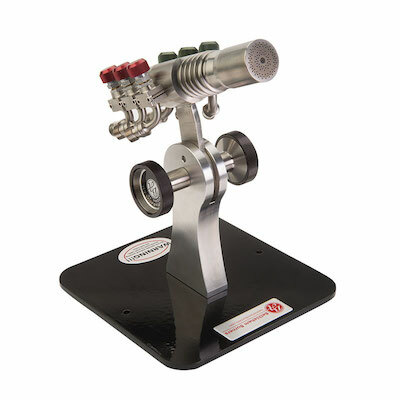 This stainless steel, surface mixed torch combines the best of the Alpha, Bravo and Champion torches into one easy to use Bench Burner! The three separately controlled stages provide glass artists with unsurpassed control over flame sizes, heat potential and fuel mixture, making The Grand one of the most versatile and fuel efficient glass working torches available today! Face Diameter - 1 3/8"
WE OFFER A PAYMENT PLAN! CONTACT US TO FIND OUT MORE!